A famously pro-gay Catholic bishop is slated to lead an “LGBTQ retreat” next weekend at the University of Notre Dame. At the retreat, Bishop John Stowe of Lexington, Kentucky “will be integrating sexual orientation and faith from a Scriptural and Biblical perspective,” according to an online description provided by the University’s Gender Relations Center (GRC). The University’s Campus Ministry is a cosponsor. LifeSiteNews reached out to Bishop Stowe requesting an explanation of what it means to integrate “sexual orientation and faith,” but he declined through his spokesman. 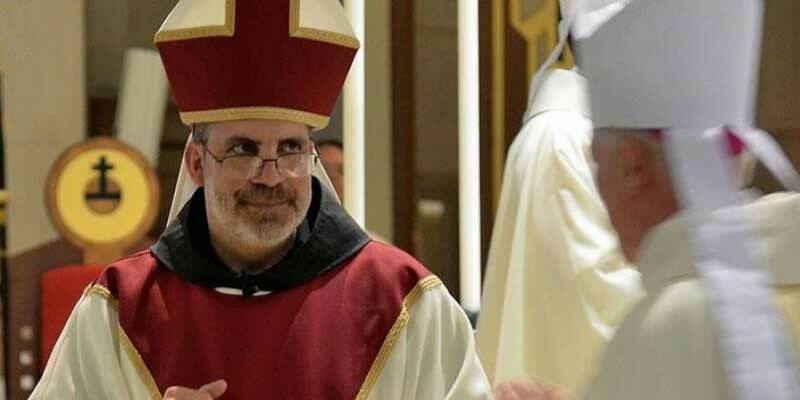 Does Bishop Stowe intend to hold fast to magisterial teaching, or will he offer some other interpretation which affirms homosexual activity and transgenderism? If so, would Bishop Stowe be willing to share the Scriptural passages which might advocate for this? Is Bishop Stowe concerned that participating in an event labeled “LGBTQ” might affirm someone who is already experiencing difficulty escaping gay, lesbian, bisexual, or transgender “identity”? The upcoming retreat featuring Bishop Stowe “is primarily geared toward students of the LGBTQ community,” according to its description, a term which in and of itself defies Catholic Church teaching. Bishop Stowe recently made headlines for penning an op-ed scolding the Covington Catholic High School students who were accosted by radical activist Nathan Phillips while wearing “Make America Great Again” (MAGA) hats after the March for Life. The bishop criticized the students, whose lives have been turned upside down by false media reports, death threats, and doxxing, suggesting they weren’t being pro-life by wearing MAGA hats.